Effective loyalty programs are the programs that are designed to create value for the channel partners on both transactional as well as emotional level. They provide personalized program training, communication strategies and by offering them motivating and meaningful rewards at each milestone to improve the performance of the channel partners consistently. It is critical for a company to create loyalty for the brand among channel partners. Loyal channel partners are not only a source of recurring revenue, they also become the brand advocates who talks favorably about the brand and also passes on positive word of mouth. It is not as simple as it sounds. Organizations often don’t know the exact accurate details of their key channel partners due to the unstandardized way of data collection. Usually, the billing data in the system would be of an enterprise say “ABC Enterprise”. The details (such as telephone number, mobile or email id) in the system would be of ABC Enterprise, but there could be a case where the details of the owner or the key influencer of ABC would be different than that which is in the system. More often than not, internal data has issues such as non standardization of the database fields. For example, a district in the database could be saved as GB Nagar, Gautam Buddh Nagar or just Noida which can cause issues in designing a loyalty program for a channel partner in that district because of non-uniformity of data. So to design an effective loyalty program, getting the right data in a standardized form is the first step to start with. Once you have the right data, it is important to define the partner in your own language. Some large partners are large because they act as wholesalers and some small partners only sell the higher end products. So if you have such a diverse network of channel partners, it is important to bucket your partners in a manner that, for every bucket you can run programs that would be more meaningful to the partners in that bucket rather than running a same program across your network. This profiling can be done, either through the sales team or through the channel partners themselves. The questions that you can ask are, how educated is the channel partner? Who manages the operations on daily basis? Is it a family owned business or a professionally run business? Is the 2nd or 3rd generation involved in the business? The list is endless but the idea here is to create a map of your channel. Understanding the people behind the transactions can help you enrich the relationship with your channel partners. Once you know who your partners are and what their lives are all about, identify the ways you would like to enhance their value in your ecosystem. For each bucket of partners, identify an incremental gain you would like to see. You need to remember “One size does not fit all”. For example, a wholesaler might be more kicked about a flat scheme on uplift, while a true seller will appreciate better selling tools. Younger people would be more open to transacting with you in an online or an App led mechanism. Certainty and robustness in a loyalty program is highly valued among the channel partners. However the nature of these programs is such that they become a routine for the organizations and eventually the firms loses interest in these programs. Thus it is a better idea to outsource the management of all repetitive and clerical tasks, so that they get done- everytime. By outsourcing, it forces the organizations to define program KPI’s and enforce the achievement of the same. The marketing managers often have changing priorities and they may lose focus on those repetitive tasks, outsourcing ensures somebody is on it all the time also, it takes away the dependency of the marketing manager. A partner feedback loop is a system that is used to gather your partner’s feedback and learn from the insights that are seen in the feedback which helps you to improve your services on a large scale. It offers a great way to help you understand your partner and make sure that your partner’s needs and expectations are met which is very important to build and maintain a relationship. Feedback loops are important because they provide a standardized approach to listen to and learn from the channel partners. Channel partners are a company’s livelihood – they keep your doors open to the customers and fuel your business growth. They are in a best position to give the feedback that can be used to create an amazing experience. 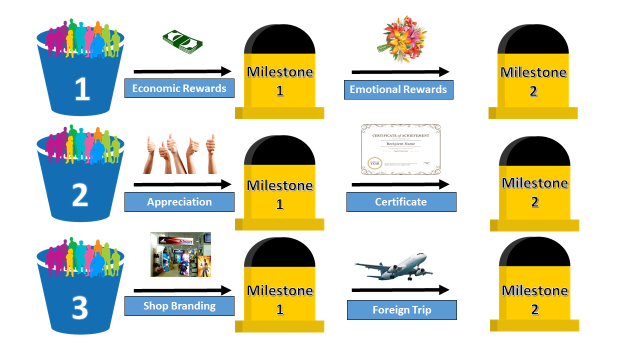 The company should have a long term mindset in designing the loyalty programs, the milestones for the channel partners should be decided before hand so that it keeps the channel partner engaged and be consistent in his performance.